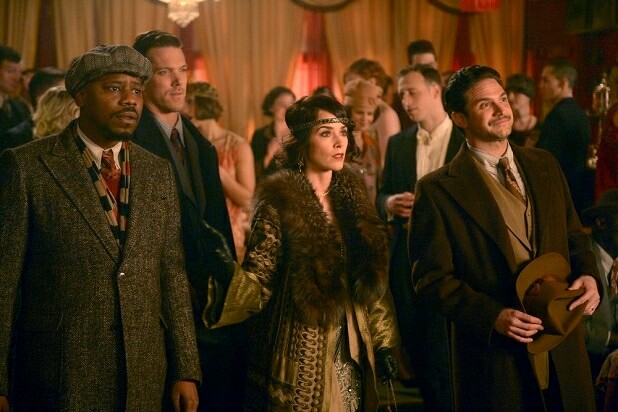 It’s been a bumpy few months for “Timeless” fans, and the news of Abigail Spencer’s role on “Grey’s Anatomy” probably isn’t reducing the anxiety. ABC announced on Friday that Spencer is joining the cast of the long-running medical drama ahead of Season 14 in the recurring role of Owen Hunt’s (Kevin McKidd) sister Megan. She replaces Bridget Regan, who was initially cast in the part but exited due to a scheduling conflict. But fear not, “Timeless” supporters: NBC tells TheWrap that “Timeless” is Spencer’s priority and will not be affected. Her “Grey’s” episodes will have been shot by mid-September, and “Timeless” goes into pre-production in the end of October. The casting of Spencer on “Grey’s” caused concern for some “Timeless” fans, who have already endured NBC canceling the show in May before a change of heart three days later led to a reprieve in the form of a 10-episode second season airing midseason. This latest twist in the “Timeless” saga comes a day after NBC Entertainment chairman Robert Greenblatt appeared to send a bit of a mixed message about the time-hopping drama during his Television Critics Association presentation on Thursday. “What I say to the fans when they come out in droves when we cancel a show is, ‘Where were you when we had the show on the air, and helping us build this into a huge ratings success? '” he said. "Grey's Anatomy" is quite possibly one of the most dramatic shows on TV and naturally so are its characters. We've ranked them from least to most dramatic. We don't know much about DeLuca other than he dumped Maggie for stupid reasons and was the reason for Alex going to jail. He's not a very dramatic person, just kinda boring. One of the most calm, collected and chill dudes at the hospital. Like, seriously does nothing get to him? He's so smooth, charming and SO not dramatic. 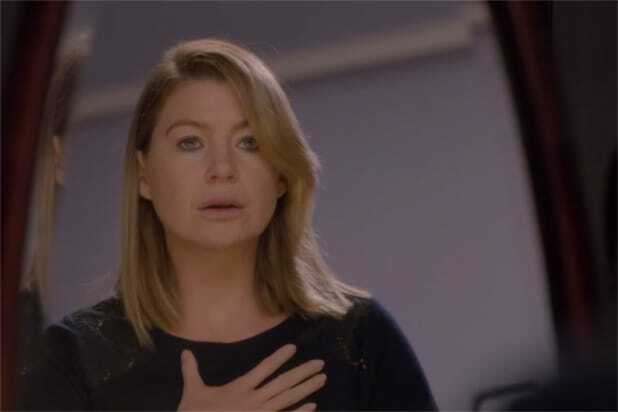 Edwards is the neutral point when it comes to "Grey's Anatomy's" dramatics. She's extra when she needs to be and when the situation calls for it, but for the most part she's pretty level-headed. Like Edwards, Owen is also pretty level headed and most of the time, he can serve as a voice of reason -- he didn't even take sides between Webber and Minnick. Yes, he refused to work with Nathan Riggs, but that's only because he thought he was the reason for his sister's untimely death. Honestly, for everything this woman has gone through (her mother's attempted suicide, her father abandoning her and starting a new family, her sister dying, the love of her life passing away, etc. etc. etc.) she's not nearly as dramatic as she's allowed to be. Meredith has her moments, but for the most part she's pretty chill. Bailey has her freak out moments, but given her circumstances -- running an entire hospital -- she's pretty calm. Except for that one time she suspended her husband for accidentally killing a lady during surgery, but that's another story. Dr. Webber is usually the voice of reason on "Grey's Anatomy," but he definitely has his petty moments ... like when he wouldn't give up his throne as the Resident Director -- which was well warranted if we're being frank. Dealing with dying kids and being able to keep a smile on your face obviously means that Arizona can keep calm under pressure, but she definitely has her dramatic moments. As seen in Karev's most recent run-in with the law, the kid can overreact a tad bit. But he's just trying to live his life and do right in the world, so we can forget his little dramatic antics here and there. We thought Avery was a pretty chill dude, that is until April left him to go serve in the military after they recently lost their child. He. Would. Not. Let. That. S---. Go. Granted, she is pretty young compared to her colleagues but she literally freaks out over the smallest things and can be really petty at times. Kepner seems like she's always on edge and sometimes cracks under pressure, which is probably why she's always so dramatic. Ugh. Sorry, but Wilson is low-key annoying. She's had a tough life, we'll give her that but she just continues to push away people who love and care about her -- Alex. Come on ... homegirl is like beyond dramatic. She wanted to get married to Owen, then ran away on her wedding day, then finally realized she was being ridiculous and they started living happily ever after ... that is until she ran away from her husband again for whatever reason we can't remember because she runs away a lot.